The inspiration for this series dawned one day while recollecting an earlier episode in my life as a young man who had been living for three-years in the urban-wildness of South Florida. It was a deeply transitional time in the equally paralleled transitional living-modes of the South Florida experience; indeed, it was a home for “transients” of all types and from all walks of life. The year was 1981 and this young man of 23 found himself reading from a selection of works by Carl Jung entitled “Psyche and Symbol”, a Doubleday paperback priced at $3.50. This young man was deeply impressed by Jung’s erudite mind and quickly became enamored with his insights into the workings of the psyche. One particular chapter dealt with Jung’s commentary on the Daoist classic, “The Secret of the Golden Flower”. Returning to it now in the same old paperback—which has surprisingly survived the passage of time quite well—I’m reliving the mind of this young man who had studiously highlighted pertinent verses and also reinforced some of them with underlining, accompanied with some asterisks. Are these the same passages that I would highlight today, or were they only relevant to that younger mindset? Whichever it may be it brings me great joy to revisit them now—or is it that young man’s mind returning to visit me? One thing is certain—The Secret of the Golden Flower is as fascinating now, perhaps even more so, than when it was originally interpreted back in 1981. What then did these people do in order to achieve the progress that freed them? As far as I could see they did nothing (wu wei) but let things happen, for, as Master Lü Tzū teaches in our text, the Light circulates according to its own law, if one does not give up one’s accustomed calling. The art of letting things happen, action in non-action, letting go of oneself, as taught by Master Eckehart, became a key to me with which I was able to open the door to the “Way”. The key is this: we must be able to let things happen in the psyche. For us, this becomes a real art of which few people know anything. Consciousness is forever interfering, helping, correcting, and negating, and never leaving the simple growth of the psychic processes in peace. I’ve always been fascinated with Jung’s work on Symbols and Mandalas. He was able to map the interrelationship between hundreds of them; he also recorded numerous sessions with clients who drew mandalas of their own, revealing something deep and indigenous within one’s own psyche. This is why the use of Mandalas in traditions like Tibetan Buddhism proves to be of immense spiritual import. In both Taoism and Buddhism, the term turning the light around means turning the primary attention from involvement in mental objects to focus on the essence or source of mind. This exercise is practiced as a means of clearing consciousness and freeing awareness. Cleary’s insight as to the “reversal, or turning around the light” has immense import for Lankavatarians in particular. For this “Light Technique” is fashioned after what the Lanka teaches as the Great “Turn-About” within the deepest recesses of consciousness, a turn-about from phenomenal perceptions to the hidden Light of the Unborn Principle Itself. These Chan structures illustrate some of the ways that attention can be arranged to induce the golden flower experience. It may be possible to apply this use of mind to psychotherapeutic theory and practice by means of its transcendental understanding of the self, its method of experiencing the self beyond the quirks of personality, and its concentration on the elemental source of autonomy and self-mastery. 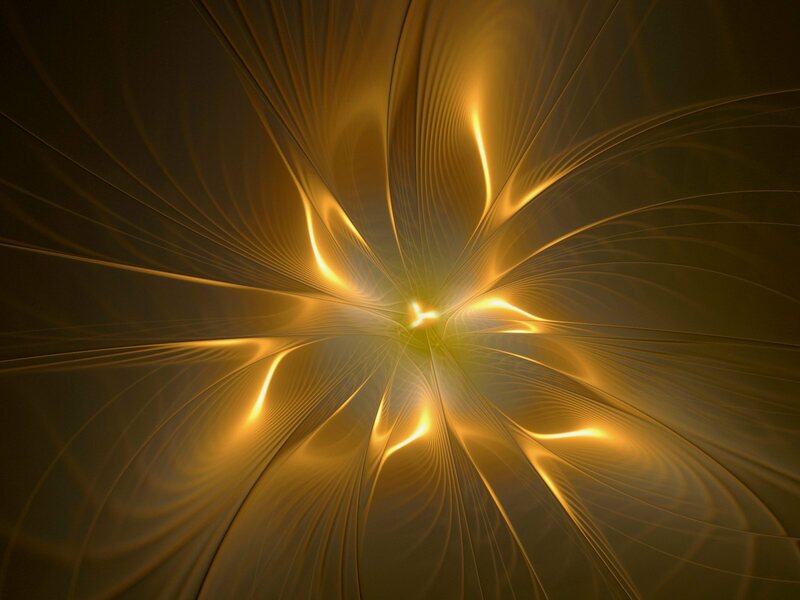 To the therapist, the golden flower teaching offers techniques of developing deeper insight and greater awareness of human potential, as well as a means of contacting patients at a level of mind that is not affected by psychic afflictions. To the patient, it offers an independent means of self-knowledge beyond the domain of conditioned personality, judgment, and opinion. …the practice of golden flower meditation certainly has the power to dispel the influence of neurotic compulsion. Rightly understood and correctly practiced, it does not have the dangers Jung attributed to it because it does not submit to the fascination of what he referred to as unconscious contents of mind. The text is a combination of Daoist/Buddhist materials utilized for meditation and internal-alchemy. In the book of Wilhelm’s translation, his Chinese teacher taught him this explanation: the practitioner will see a bright image in front of the middle point of their two eyes…This image was called Mandala (मण्डल) or dkyil-‘khor (དཀྱིལ་འཁོར།) in Tibetan Buddhism. In various spiritual traditions, such as Mahavairocana Tantra of Hindu and Tibetan Buddhism like Kalachakra, Mandala is a key part of meditation practices. This is all strikingly similar in tone to Tozen’s Black Dragon-Eye Mandala. In point of reference, Tozen’s recent blog, Being of a Single Mind – One-pointedness (Zen) is attained, convey’s mystically, in a snapshot, the inner-workings of this mystical-technique. The eternal vision behind it, is that of the prima materia, the original substance, the ultimate principle of the world. According to this idea, all existing elements or phenomena are only variations of the same force or substance, which can be restored to its purity by reducing and dissolving the manifold qualities which have imposed themselves upon it through differentiation and subsequent specialization. Therefore, he who succeeds in penetrating to the purity of its undifferentiated primordial form, has gained the key to the secret of all creative power, which is based on the mutability of all elements and phenomena…. It is a standard for all things; its use removes all sufferings. Although it is not constructed, it is not beyond words. Yea, it’s more Translucent Darkness than ordinary light as we usually comprehend it; yet, it is a vivaciously Luminous and Inner-Light that radiates outwards. It’s an introduction into the Nature of the Hidden-Light of the Unborn, or the Inner-Lighthouse of the Tathāgatas. This entry was posted in Spirituality, The Secret Golden Light of the Unborn, Zen and tagged Black Dragon Eye Mandala, Carl Jung, Ch'an, Dongshan, Lama Anagarika Govinda, Light Technique, Lu Dongbin, Mandala, Psyche and Symbol, Richard Wilhelm, symbol, The Secret Golden-Light of the Unborn, The Secret of the Golden Flower, Thomas Cleary, Tozen, Translucent Darkness, turn-about, turning around the light, Wang Chongyang. Bookmark the permalink. Personally I like it that you include a little bit of yourself, your own spiritual autobiography when you write. These posts are my favorite. First as a student of Sanskrit (which is a dead language rich with forgotten nuance) I find it helpful to understand some context on paravriti – the “turning away” or “turning back” or “revulsion” described in the Lanka per Suzuki’s translation. The term is often reified into this action of turning away – a reality that should not be confused with its description or depiction in words and thought. “No statement about the dharma is a statement about the dharma”. I find Vajragoni’s description above quite good really, and I am not quibbling with it except to provide a fuller context to allow suppleness of mind in the approach to what is meant, as a provisional understanding, and to avoid unnecessary thought-forms which might at first serve as a useful reference only later to become an obstacle to practice. So basically what I offer by this comment is the following countervailing gloss on the scripture and what is meant by paravriti, to provide an additional way to strike at ignorance which obscures this essential luminosity of the deathless unborn, and to help break reliance upon a single conceptual form of what is meant, i.e, turning back or away from, a term often used by the few of us who still practice these traditional Ch’an forms so invigorated by mystical Buddhism. Vriti is an interesting word, rich in variant meanings. It is linked to our modern word in English, “vale” and what is meant can be a fence or enclosure, something very common to early civilization. On the other side of that fence, one might consider, is fear, danger, the dark and unknown wild. And what is that but a fear of non-being, a fear of loss, a fear of dissolution? Why else do we grasp to samsara, but this basic fear of the dark so to speak? We cling to fragile bits of flotsam in a flood of ignorance. This should not be overlooked, I think. As we know from the Buddhist literature, fear arises from ignorance; that is what we imagine reality to be as well as what we have not correctly perceived, directly, as to its essential nature, which is the substance of the meditation practice described op cit. I do not wish to get too specific about what is meant by anything beyond this vale because ultimately we are talking about phenomena themselves. The illusion of reality. That which comes from mind. And how people many thousands of years ago viewed their world and all phenomena is not really different – but in our world today, we are obscured as much by the “known” as by the “unknown” which troubled our ancestors. In a world without transportation, communications and so on, what was beyond one’s own village gate might appear to be quite literally beyond any understanding. Today even the most basic spiritual teaching may be beyond understanding, because of what is “known”, i.e. the faith in the ultimate existence of an objective world. This “vale” or “fence” can also refer to mountains or impassible geographic features which hedge in a valley. In short it is as far as one can go. Back then, maybe it was the edge of the village or curtain of mountains or some impassible barrier; today this barrier might be better understood as scientific materialism and spiritually destructive immersion in pleasure, distraction, and gratification. The ignorance is the same, it just takes a different, modern form. So I think this context as going as far as one can go is just as meaningful as describing a “turning away”, which occurs at the limit of paravriti. I think it is important to consider that there is no turning away without going the ultimate distance, to go far as might be attained to grasp the nature of phenomena and this saha-world, in which all things, even the composition of self, are ultimately unfindable and lacking in any true substance, shifting through the fingers like sands, since nothing exists on its own and nothing can be said to be permanent, unmoving, and indestructible in this world of Mara. To pursue this with meditation, to chase these phantom realities into non-being one eventually goes as far as they can – which is really only as far as necessary to perceive reality on an entirely different basis, one of truth and not of falsehood. It seems to me that it is helpful to understand the limits of phenomena must be encountered for one’s own or it will not sink in. I think eventually at the limits of this practice it dawns on us that we simply cannot go any further on that path, because it is the path of birth and death. It ends rather tragically for us all. But the inward path, which illumes this fence or vale, is deathless, unending unmoving and indestructible, and it is this recognition I would contemplate as paravriti.